Yes, the day has finally arrived for us to take to the streets of Glasgow and show the world exactly what our cycling infrastructure is like. Some of it will be good, some of it will be bad, and we need to see it all so we can show it to the Council and help to make ours a true Cycling City. 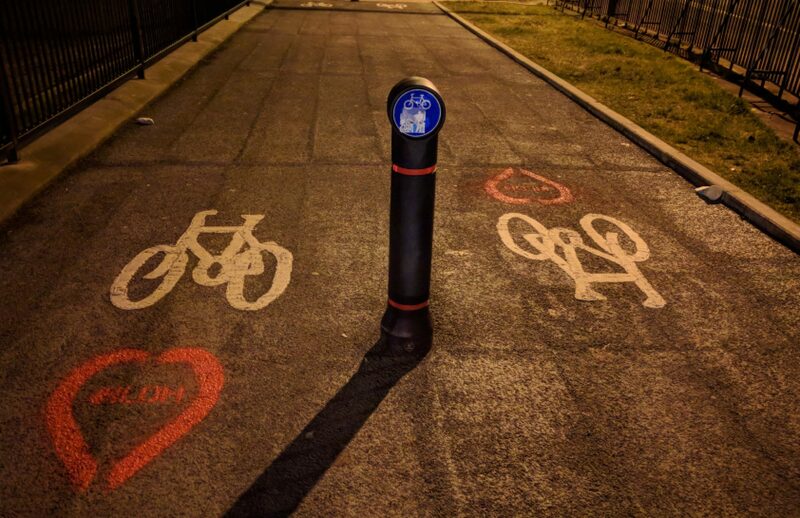 Keep your camera with you today and when you spot any cycling infrastructure that you want to highlight (good or bad) – or if you spot somewhere that’s crying out for infrastructure it doesn’t have yet – take a picture and Tweet it with the hashtag #GlasgowCycleInfraDay17. Don’t worry if you don’t have Twitter, you can still take part by emailing your pictures to us at CycleInfraDay@gmail.com. You’ll be able to watch the gallery build throughout the day by keeping an eye on the hashtag on Twitter (you don’t need an account for this – just click this link), or by following the Twitter account (@CycleInfraDay). Just one more sleep until the return of #GlasgowCycleInfraDay17 to our city! With the Scottish Government this week announcing their commitment to double the budget for Active Travel in 2018/19, making sure your voice is heard when that money gets spent has never been more important. Tomorrow you can shout it out loud. It’s as easy as snapping a photograph of Glasgow’s cycling infrastructure and posting it on Twitter with the hashtag #GlasgowCycleInfraDay17. Take pictures of the good stuff, what we want more of, as well as the not so good stuff. Don’t worry if you don’t have a Twitter account; just email your pictures to us at CycleInfraDay@gmail.com and we’ll upload them for you. So, get your cameras ready, charge your batteries and load up your memory cards… for tomorrow we shape the future of cycling in Glasgow! The first GlasgowCycleInfraDay, back in 2015, was the brainchild of Magnatom (a.k.a. David). Shocked at the state of Glasgow’s cycle lanes he put the call out on his blog one Tuesday night. With a little over 24-hours notice, the response from across Glasgow (and beyond) was phenomenal. This year’s campaign, #GlasgowCycleInfraDay17, is nearly here. Next Friday, September 8th, it will be time once again to fill Twitter with the best and the worst of Glasgow’s cycling infrastructure. Taking part on the day will be easy. All you need is the desire to make Glasgow a better city for cycling… and a camera. You don’t need a fancy camera, the one in your phone will do the job. Just take a picture of any cycling infrastructure you see on Friday that you think is worth recording (or a place where you think it’s needed) and Tweet it with where you took it and the hashtag #GlasgowCyclieInfraDay17. Don’t have a Twitter account? No problem, just email it to CycleInfraDay@gmail.com and we’ll Tweet it for you. It couldn’t be easier to help shape the future of cycling in Glasgow for everybody. But we need your help before then too. The more people who take part, the better the picture of Glasgow’s infrastructure we’ll end up with and the harder it will be to ignore us. So please, spread the word. Tell your friends. Tweet about it. Every single photograph is important so shout it from the rooftops: #GlasgowCycleInfra17 is coming! Get involved! !